How Far Does $400,000 Go in the Hottest Investment Markets? Have you ever wondered how far $400,000 could take you in various markets? This has been analyzed in a newly released HomeUnion report comparing investment property values in 10 of the most sought-after markets among HomeUnion’s clients. 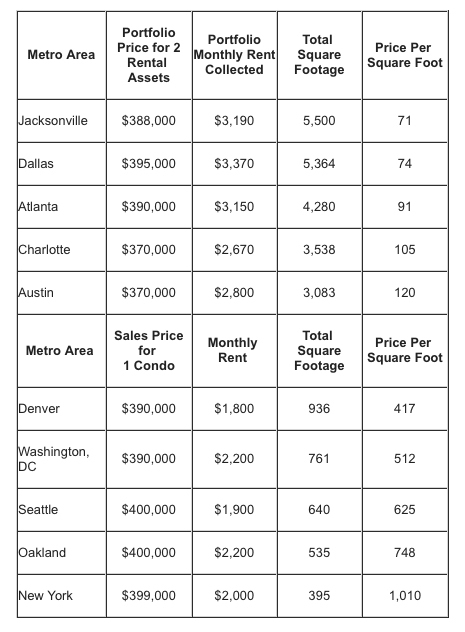 The company analyzed what a total of $400,000 will buy a single-family rental (SFR) investor in these popular markets: Jacksonville, Dallas, Atlanta, Charlotte and Austin; versus what a real estate investor can acquire for the same price in the non-HomeUnion markets of Denver, Washington, D.C., Seattle, New York and Oakland, which are frequently coveted by investors. 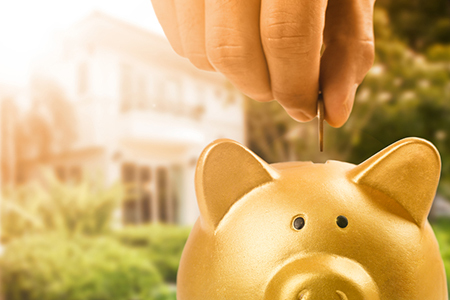 When using leverage at 25 percent, markets in which HomeUnion operates are more affordable, offer renters and investors significantly more square footage, and provide investors with the ability to earn much higher monthly rental returns. For more information, visit http://www.homeunion.com.